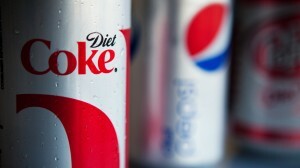 Society has started to create a big distinction between a sugar-free or diet soda compared to a regular soda. We are all under the impression that since diet or sugar-free sodas have no calories and barely contain any fat, that they are good for our health. Well, we are wrong. Although diet coke may not have a drastic affect on your weigh in every month, it does damage to other places in your body. The famous saying, “Sip a day, get decay” doesn’t strictly apply to regular soda. All sodas have harmful effects on teeth, just in different ways. Diet soda and sugar-free drinks are very unique. They don’t contain the same sugars or acids as a regular soda but they do have their own acids. T hese acids flare up the moment soda touches a mouth. Billions of acids start to attack the enamel, weakening and yellowing the teeth. These attacks last for about 20 minutes after each sip. These acids are called, phosphoric and citric acids. Phosphoric acids are a clear and odorless liquid that feels the same way syrup would. It is used to give coca-cola it’s taste. These acid wear down the tooth enamel. The acids react with the plaque on our teeth which contains multiple bacterias. These bacterias lead to tooth decay, breakdown in gums, and attacks about any other substances that are supposed to support the teeth. The pH of a liquid under 5.0 has the power to cause tooth decay. Although most acidic drink that are good for us, for example orange juice or lemon juice, have a low pH which causes tooth decay, they do good things in different parts of our bodies. Like I previously stated, soda doesn’t have any benefits to our bodies and with a low pH, ranging from 2.5-4.0, you might think the same question I did: Why drink it? As a non-soda drinker, I was very interested to see how people would answer this question. I decided to conduct my own survey with 25 Penn State students. My null hypothesis was that people who drink soda have the same amount of cavities as a person who does’t drink soda. My alternative hypothesis was that people who drink soda have, on average, more cavities than a person who does not drink soda. My results concluded that my alternative hypothesis was correct. How I did the experiment: I asked each of the 25 people two questions. 1. Do you drink soda? 2. How many cavities have you had in your life. My results were not surprising. 16/25 people drank soda and of that 16, 60% that had 4 or more cavities in their life. Only 30% of the non-soda drinkers had 4 or less cavities in their life. Correlation? I think so. My conclusion was, if you drink soda, your teeth will rot in the ways that I listed above. To support my conclusion, Business Insider wrote about a study done by Temple University. It compared three adults mouth’s: one 29 year old who was addicted to meth, one their early thirties who drank 2-liters of diet-soda a day, and a 51 year old who was addicted crack for 18 years. Mohamed Bassiouny, the head director of the experiment, found that each of the adults had almost the exact amount of decay happening to their teeth. He controlled most of the other factors so his findings were correct. His conclusion was, if you drink soda, your mouth can be as damaged as a person that has abused substances. Now, if that doesn’t stop a person from drinking soda I don’t think anything will. Spector, Dina. “This Is What Drinking Too Much Soda Does To Your Teeth.” Business Insider.Business Insider, Inc, 2013. Web. Department, By. “Content – Health Encyclopedia – University of Rochester Medical Center.” Content – Health Encyclopedia – University of Rochester Medical Center. Web. This entry was posted in Uncategorized on October 6, 2016 by Julia R Martini. Your post was extremely well done. This is the first post that I have read where a student conducted their own experiment. It’s very unusual, but it’s a great way to make your blog stand out. The only thing I did not understand was how the last study (the one with the three individuals, where 2 of the 3 were drug users) can be incorporated when the way the drugs rot the teeth is not mentioned. Is it worse than how badly soda rots the teeth? For all I know the drugs could have no effect on the teeth and the rot could be due to third confounding variables. Maybe the two former drug users drank soda as well. This article explains how drugs can effect one’s teeth. Growing up when I was younger I was never a big soda drinker and now I don’t ever drink any soda. When I did drink soda I never noticed my teeth loosing color but I did see shortly after maybe a few days that I would have oily skin and possibly some pimples on my face. Soda I find is completing disgusting. It’s basically carbonated soda and other chemicals that make the color and flavor. There is nothing natural or healthy for you in soda and doesn’t benefit you in any way. Unfortunately I have had cavities in my life before but not in a few years. Growing up I was always a healthy kid and believe it or not always tried to watch what I ate. I would never hold back from eating, I just tried to eat home cooked meals instead of fast food or fried food. That being said, rarely drinking soda and trying to avoid fast food I had and still to this day one of the biggest sweet tooths you will ever find. I am a feen for the big C’s… chocolate, cookies, and candy. This personally is why I think I had cavities when was younger. There is a common theme with your post about soda and cavities and my personal experience with having a sweet tooth and cavities. Both soda and any of the big C’s have obscene amounts of sugar in them which is the reason for cavities. Long story short I think we can both agree that anything with large amounts of sugar in it gives you a high risk of getting a cavity in your tooth. Amazing post! It was so incredibly creative to perform your own experiment! Bravo to you. I do not drink soda, but this post was a great way to convince me to continue on with not drinking soda. Although your experiment was a great idea we can still be left with other things to consider. For example I have had 4+ cavities in my life and I was never a soda drinker, they just happen to run in my family- for some reason we may be more susceptible to them. I also see that another person had written about chance also being included within this experiment which I also think should have been considered. Overall I applaud your effort! Great job! 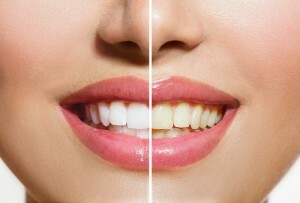 Check out this article on the top 10 leading causes of tooth decay!! This is an awesome article as a soda drinker I was wondering what was going to happen to my teeth, so reading this article it gave me better insight into the problem. The best part of the article was how you incorporated your own experiment. This really opened my eyes and helped me think about drinking soda next time. i like how you talked about a lot of scientific terms and information we went over in class. I like how you picked this topic and took the soda part a different why then when we talked in class about soda. I think you could also have talked and incorporated about chance into the blog. I definitely think chance plays a big part. There could be a correlation here has well but chance and sugary drinks could mean the person has a sweet tooth. (here is an article talking about sugar and cavities) Read to connect more to the article, this could be due to chance. Doing your own study was such a good idea to help support your blog. I think it was a good step in the right direction, however chance must also be considered especially in such a small study. There could also be a third variable involved. Maybe the people that drank soda and and had cavities had a sweet tooth, and ate lots of sugary things. This sweet tooth would cause someone to drink soda and have tooth decay.